Some secrets grow stronger—and more dangerous—with time. Some secrets aren’t meant to be kept. Ever since Lou Harrison moved to Somerville, strange things have been happening. 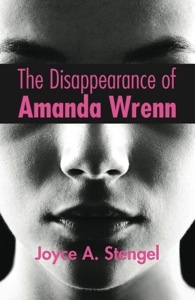 Why is it that Amanda Wrenn, a girl who disappeared decades ago, is identical to Lou’s dead sister? Why is Lou having visions of a terrible accident she knows nothing about? No matter how innocent Lou’s new home might seem, she can’t shake the feeling that a horrible secret is hidden there—a secret that someone might kill to protect. In this new thriller from novelist Joyce A. Stengel, the past and present weave together a dangerous web of mystery, deception, and murder. Intricate and fast-paced, this book will have readers holding their breath until the last exhilarating page.